Even though I’m somewhat of a polish collector (or hoarder, depending on how you look at things), my colours tend to fall neatly into three categories: neutrals, darks and vibrant pinks. I’m not sure if it’s just force of habit, but a lot of my colours can look quite samey. So, you can imagine how beautifully Mavala’s stunning new Smily Orange 277 stood out amongst the rest of my collection. 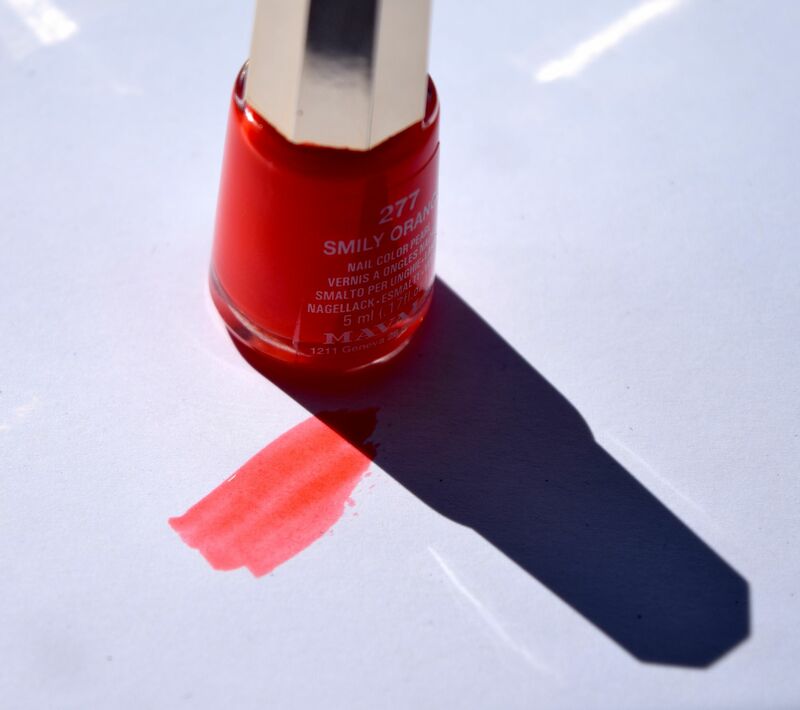 The colour really is summer in a bottle! I tend to use three coats of the polish to create an opaque effect, but since it has a jelly finish, you can easily control how much colour you get. The formula applied smoothly, and with a top coat, was beautifully even and shiny. I have to say, Mavala are seriously impressing me right now! I got four days of wear before I noticed any tip wear, and I can’t even tell you how many compliments I got on the colour!